It's that lovely time of year when the soft fruits are in season and it's jam making time. So far we've only made strawberry, with delicious fruits from Tollie Fruit farm, but there are gooseberries and blackberries ripening quickly on our allotment with the promise of raspberries to come. 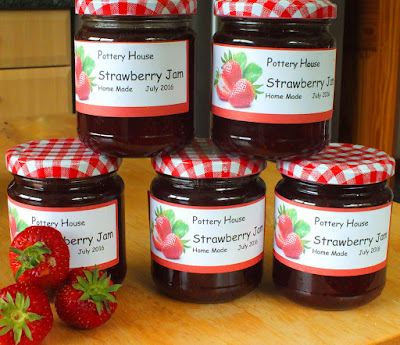 We have a few jars for sale to guests, so don't forget to buy one when you check out.